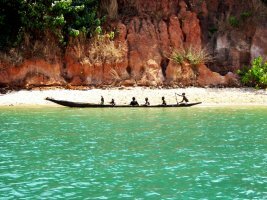 Guinea-Bissau (known as Slave Coast) is situated in West Africa. Being freed from Portugeese Empire’s oppression, the country built up its independent trade economy. In 1956, trade reform and price liberalization were the most successful parts of the country's structural adjustment program under IMF sponsorship. The tightening of monetary policy and development of the private sector had also begun to reinvigorate the economy. The country became famous for its large extraction of petroleum, phosphate, and other mineral resources. Despite the fact, that Guinea-Bissau is a small country with current population of 1,7 million people, its agriculture strives for high standards. Cashew crops have increased remarkably in recent years, and the country now ranks sixth in cashew production. 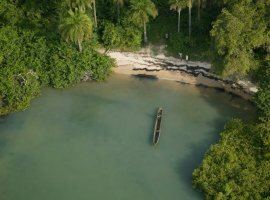 Guinea-Bissau exports to a large extent different FMCG products, such as: coconuts; rice; Brazil nuts and cashews; non-fillet frozen fish and acyclic alcohols. In addition to this, the country supplies the world market with petroleum and various construction materials. More than 70% of exported products go to India, China, Vietnam, the Netherlands and Cameroon. Guinea-Bissau tries to enter the international market and that is why the country has to develop its economy with the help of big imports. These include industrial and commercial supplies, fuels and lubricants. Transportation facilities in Guinea-Bissau are not well developed. This factor hampers economic development as a whole, especially the exploitation of mineral deposits in the interior. To solve this problem, the Government imports machinery, mechanical appliances and transport equipment from the United States in order to improve the transport system and build railroads. In spite of the fact that country’s main richness consists of agriculture and natural deposits, it imports foods, beverages, tobacco and tobacco substitutes as well as potable water. Main import partners of Guinea-Bissau are Senegal, Portugal, the United Kingdom, India and Spain. Guinea-Bissau is a country situated in West Africa, bordered by the North Atlantic Ocean, Guinea and Senegal. It is a member of the United Nations, African Union, Economic Community of West African States (UEMOA) and the South Atlantic Peace and Cooperation Zone. Guinea Bissau is open to international trade. Trade policy aims to strengthen relations with many countries and organizations in order to develop its foreign trade. Being a member of the West African Economic and Monetary Union (WAEMU) Guinea Bissau applies a common external tariff (CET). The CET establishes 4 categories of products on which tariffs are 0%, 5%, 10% and 20%. Guinea Bissau also applies a general sales tax (IGV) at the rate of 15%. The IGV is calculated on the the c.i.f. value plus import duties and levies and excise duties (where applicable). In addition, there is a 1% statistics tax and a 1% Community Solidarity Levy applied to the c.i.f. value. There are certain products exempted from customs duties. To import products into Guinea Bissau traders will need import licenses, as well as sanitary and phytosanitary certificates. Labels also should provide information on the health and nutritional aspects of the product, instructions on storage and handling and nutritional profile (amount of fat, protein, carbohydrates, vitamins and minerals).